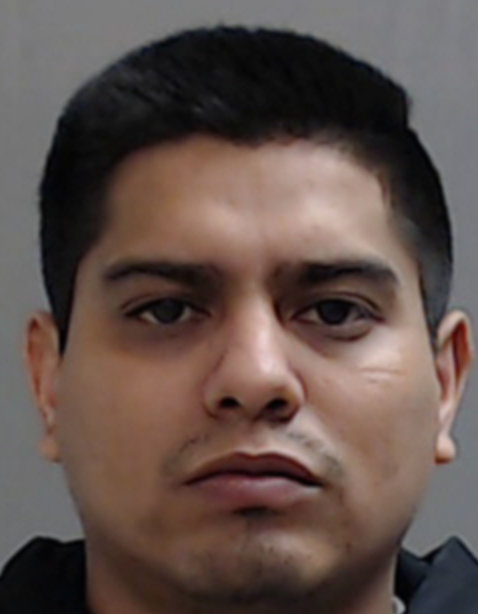 McALLEN — A man who admitted to carrying a gun that discharged and injured one woman inside an H-E-B pleaded guilty to a federal firearm charge Thursday. During a final pre-trial hearing before U.S. District Judge Micaela Alvarez, Daniel Meza-Lopez pleaded guilty to counts of being in the country without legal status and being in possession of a firearm. Meza-Lopez made his first appearance in federal court in March. Meza-Lopez turned himself in to local authorities in early March — two months after a revolver discharged inside an H-E-B store in the 1300 block of South Cage Boulevard in Pharr and struck Sandra Gonzalez, a 22-year-old woman who was shopping inside the store at the time. The Pharr resident, a native of Reynosa, became a suspect of the Pharr Police department in the Jan. 10 incident after he fled the scene. Ismeray Rivera, Meza-Lopez’s common-law wife, who was with her husband at the time of the incident, was also arrested and faces state charges that include child endangerment and failing to report a felony, according to county court records. In the footage, other shoppers are shown approaching Gonzalez, while Meza-Lopez can be seen picking up the bag and quickly leaving the area. Gonzalez, who suffered a gunshot wound to “one of her lower extremities,” was taken to a hospital, treated and released, authorities said at the time. Pharr police officers later retrieved the handgun, a Davis Industry .38-caliber Special (two-shot) model, from a “cold beverage container” inside the grocery store. Meza-Lopez, who was interviewed by federal agents following his arrest, stated the shooting was an accident and that his son had dropped a black handbag, which resulted in the discharge of the round, the complaint states. “(He) told (an agent) that the gun was in his bag for two days and that he did not know it was in his bag,” the court record states. Meza-Lopez, who initially claimed ownership of the handbag but stated the gun was not his, changed his story during the hearing Thursday, admitting ownership of the gun. Meza-Lopez will remain in custody and be sentenced on July 31. The 30-year-old man does not have legal status to remain in the country and will be deported upon completion of his prison term.